Presentation is everything. 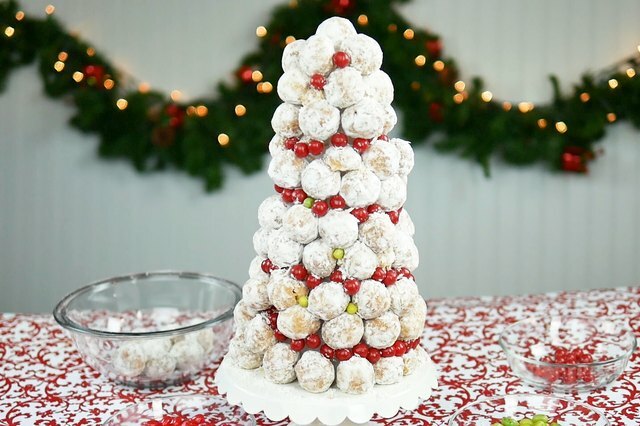 Take ordinary donut holes: Pinned to a styrofoam cone, they become an edible Christmas tree your family and guests will adore. Simply delicious. 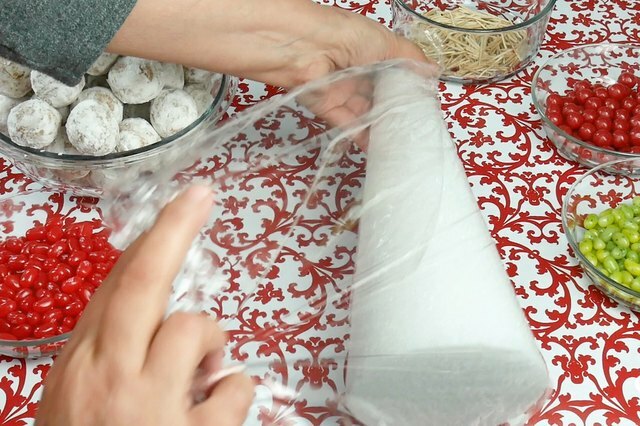 Wrap the Styrofoam cone with plastic wrap. 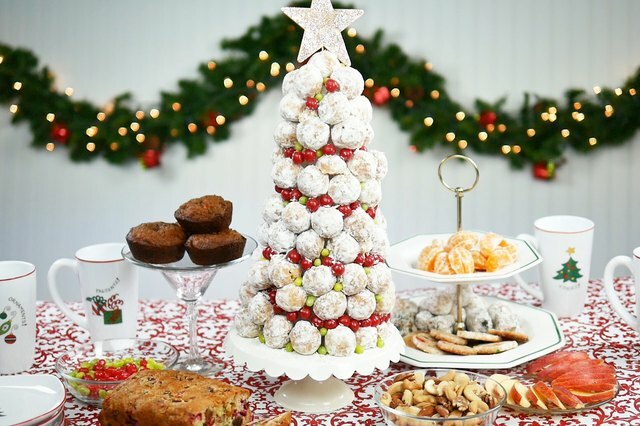 Place on a small cake plate. 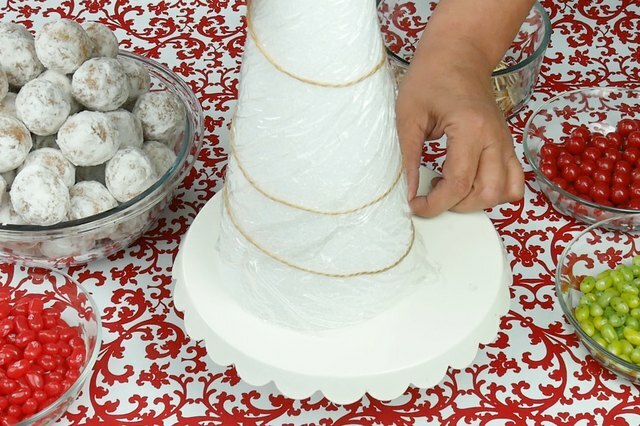 Arrange twine in a spiral around the cone and tape in place at the top. (This will be a placement guide for the cherry candies (we used Cherry Sours from Jelly Belly). 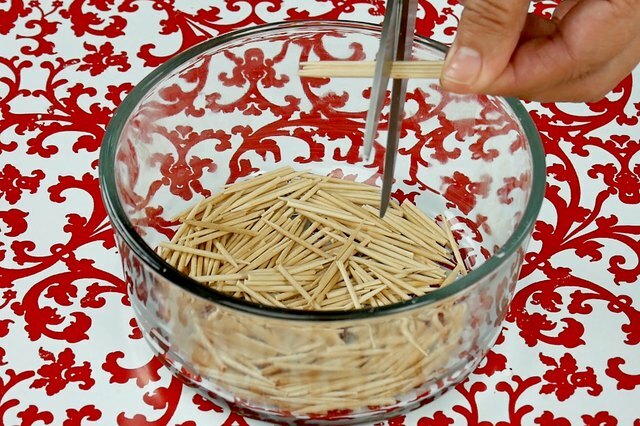 Cut about 150 wood toothpicks in half. Insert the pointed ends of the toothpicks into the cherry candies. 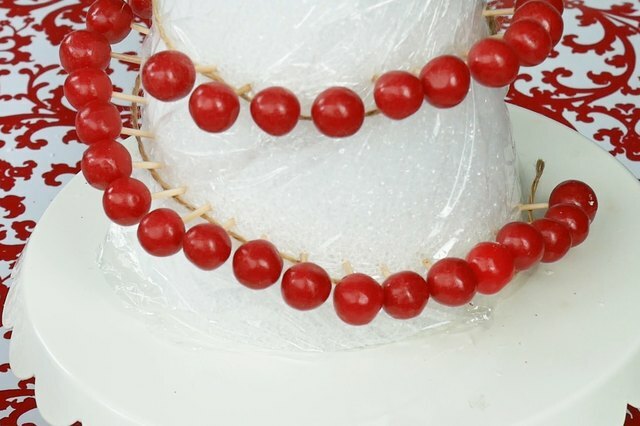 Starting at the bottom, place the candies along the twine, spaced fairly close together. 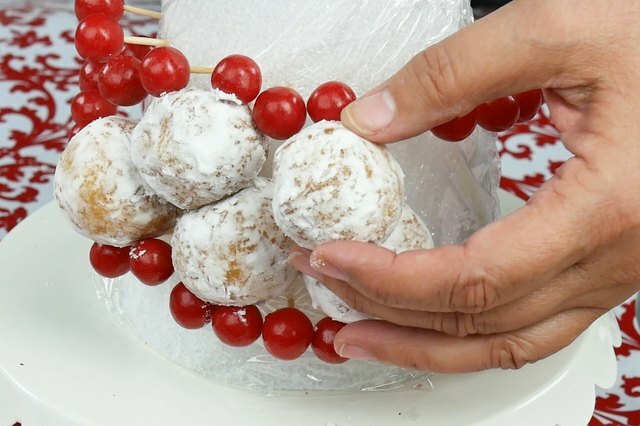 Remove the twine when all the cherry candies are in place. Starting at the bottom, insert the blunt end of toothpick into the cone, angled up toward the top of the cone. Stick a donut hole on the toothpick. 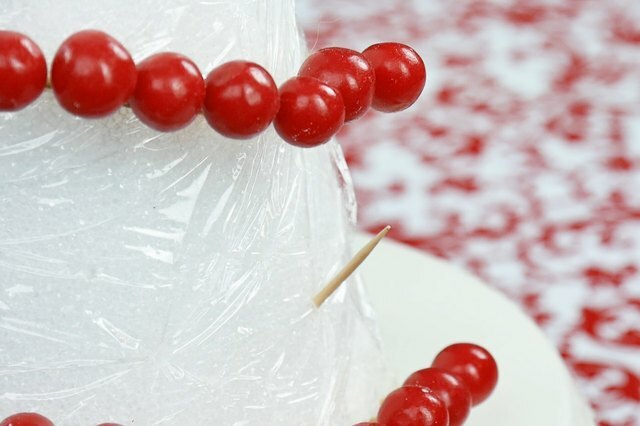 Continue adding toothpicks and donut holes, fitting them between the lines of red candies. Off set the rows so the center of the next donut hole is above the joint between two donut holes on the row below. Continue until you reach the top of the cone. 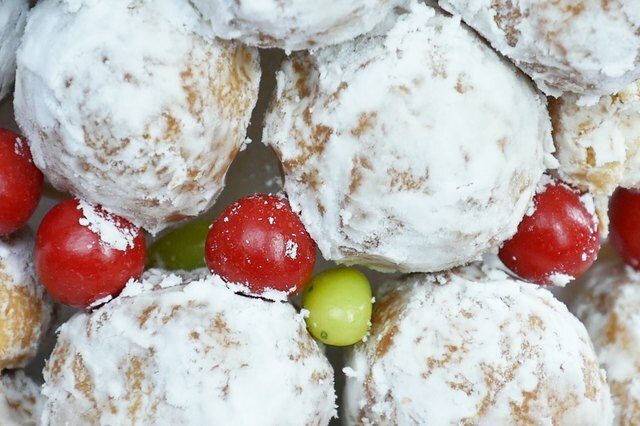 Randomly add green jelly bean "lights" in openings between donut holes. That's all there is to it. 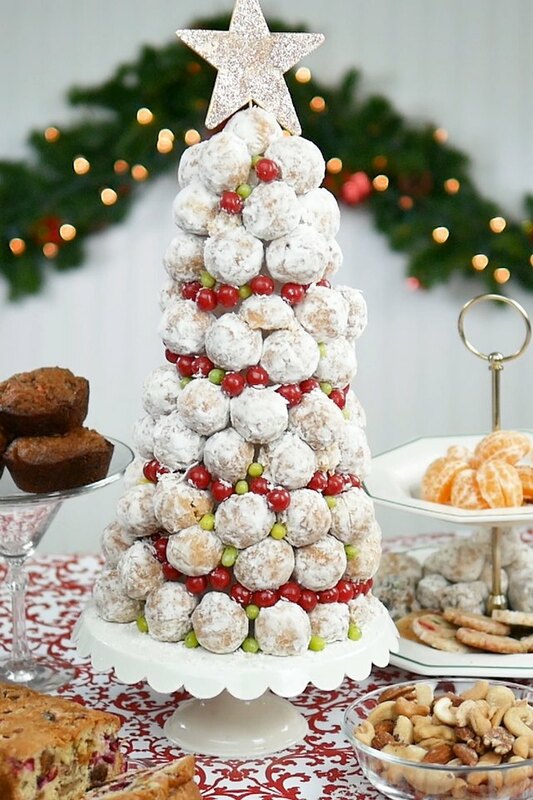 You made a donut hole tree!